Aetna is an American managed health care, with headquarters in Hartford, Connecticut. They sell consumer-directed health care insurance coverage and traditional coverage, as well as Medicare Advantage plans. Aetna is one of the largest health insurance providers, with more than 22,719,000 medical members. They also have nearly 15 million dental members and more than 14 million pharmacy members. Their network includes 616,000 primary care doctors and specialists and over 5,400 hospitals. There are a few different plans that you can select through Aetna if you want comprehensive Medicare coverage through their Medicare Advantage plans. They have programs to help with the costs of Medicare Advantage and have a higher rating for customer satisfaction than most health insurance companies. Their website is also quite informative and easy to navigate. You can find and compare Aetna plans fairly easily for Medicare Advantage. The following reviews cover all of the different Medicare Advantage and supplemental options through Aetna currently available. These Medicare Advantage plans offer the same type of coverage as you would receive with Original Medicare (Medicare Part A and Part B). You will receive hospital insurance and medical insurance. All plans also have an added benefit of a free fitness facility membership, annual wellness visit, vision and hearing exams. Purchasing a plan through Aetna is a little bit more difficult online. They do not compare plans easily unless you answer questions related to your health. This makes it difficult to see what extras are provided, such as dental and vision care. However, Aetna states on their Medicare Advantage page that they offer extra services, like vision, dental and hearing exams. HMOs are generally less flexible than other plans. But with Aetna’s large network, you may still be able to keep your physician or pick the one who is right for your health needs. If you want the lowest cost, the HMO plan is definitely the best decision through Aetna. But it isn’t available in every location; it was not available in 3 out of the 5 cities that we researched for this review. 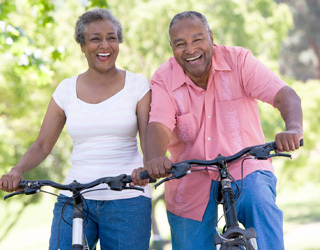 Overall, Aetna provides a variety of Medicare Advantage plans in all states. However, some states may have more plans through Aetna than others. Premium costs are pretty low, but it is unclear what services come with some plans if any extras are included. With Aetna’s Medicare PPO plan, you have more flexibility than HMOs. You can pick any doctor or provider to treat you. But you may pay more out-of-pocket if they are not in the network. Aetna offers a few incentives for choosing the PPO plan. However, some of these plans have a higher annual premium and may not include prescription drug coverage. For example, Aetna has the CVS/Pharmacy Prescription Drug Plan that only covers prescription drugs. The plan finder on Aetna is a little bit confusing to use. You have to decipher which plans do not include Medicare Advantage and which plans do. PPO plans generally have higher monthly costs and deductibles. These plans are the same Medicare Advantage Plans as above, but they don’t include prescription drug coverage. They offer a few extras, but this also makes the price higher, for some reason. These plans typically include free fitness facility memberships, in-network coverage as you travel, a 24-hour toll-free hotline to a nurse and high blood pressure management. Overall, this plan is a similar to the others above. It generally costs the same, even though you are not getting prescription drug medication coverage. In addition, it is less flexible if you choose an HMO and may also cost more than Original Medicare plans. It would be helpful if more plans were available and published online to examine benefits and costs. That would allow customers to see what areas of the country have more plans than others. Aetna allows you to find plans based on your location. These plans include lower costs for premium drugs. But you pay a higher monthly premium overall. Annual costs are also higher. This is the highest plan that you can choose for prescription drug coverage through Aetna. It has the most benefits, but also costs the most. Overall, Aetna has a few different plans with a lot of coverage options if you are looking for HMO, PPO or simple Part D plans for supplemental coverage. However, they don’t have as many free options as other health insurance providers. And, it’s difficult to navigate their plans, since they’re based on location. None of the benefits seem to be that much different, yet some plans cost more, depending on where you live. It’s best if you call Aetna to discuss plans. Or, you may want to look at Aetna plans on MedicarePartC.com to see if you can get a better rate for your Medicare Advantage plan. You may also prefer to check out this website, HealthNetwork.com, to explore available Medicare Advantage policies.